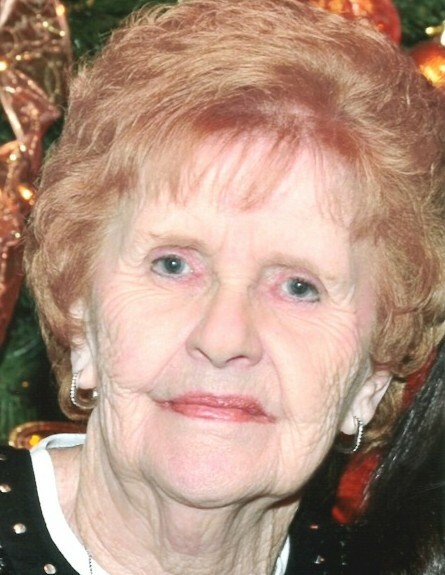 Obituary for Joan (Burns) Pettinato | Shore Point Funeral Home and Cremation Services, Inc.
Joan Pettinato, 85, of Hazlet, New Jersey, passed away peacefully at home surrounded by her loving family on Friday, April 13, 2018. She was born Joan Burns on October 4, 1932 in Jersey City, New Jersey, and grew up in both Jersey City and Bayonne. On May 1, 1954, Joan and her husband, Joseph, were married and began their lives together. In 1960, they settled in Hazlet, New Jersey to raise their family. She was predeceased by her parents, Robert and Lillian (Hindle) Burns, her devoted husband, Joseph J. Pettinato III, her dear brother, Robert Burns, and her beloved son, Joseph J. Pettinato IV. Joan is survived by her loving children, Debbie Puccio and her husband, Joseph, of Hazlet, New Jersey, Ellen Compesi and her husband, Jamie, of Garfield, New Jersey, Robert Pettinato and his wife, Bonnie, of Manalapan, New Jersey, Mary Ann Scotti and her husband, Michael, of Aberdeen, New Jersey, Lori Lear of Monroe, New Jersey, and Joyce Murphy and her husband, Kevin, of Middletown, New Jersey. She is also survived by her cherished grandchildren, Rachel Cruz and her husband, Jose, Matthew Dorishook and his wife, Jaime, Jessica Broering and her husband, John, Jillian Corcione and her husband, John, Alishia Scotti, Caitlin Pettinato, Joseph J. Pettinato V and his wife, Sara, Michael Scotti and his wife, Mackenzie, Gina Scotti and her fiance, Tom, Jamie Pettinato and his wife, Lisa, Kyle Murphy, Sarah Murphy, Mark Lear, and Shane Murphy, along with her adored great grandchildren, Sarah, Ben, Madisen, Jaden, Jackson, Gianna, and Genevieve, and her loving care-giver, Donna Thorne. Joan will be deeply missed, but never forgotten. Family and friends are invited to visit on Sunday, April 15, 2018 from 5:00 to 9:00 PM and Monday morning, April 16, 2018 from 8:30 to 9:15 AM at the Shore Point Funeral Home and Cremation Services, Inc., 3269 State Highway/Route 35 North, Hazlet, New Jersey 07730. A Mass of Christian Burial will be offered on Monday morning, April 16, 2018 at 10:00 AM at St. Joseph Roman Catholic Church, 376 Maple Place, Keyport, New Jersey 07735. Interment will follow at St. Joseph Cemetery, 360 Broadway, Keyport, New Jersey 07735. In lieu of flowers, donations in loving memory of Joan to "Hilarity for Charity", www.hilarityforcharity.org, would be greatly appreciated. For information, directions, or to send condolences to the family, please visit, www.shorepointfh.com.